A new twist on the classic family stickers! 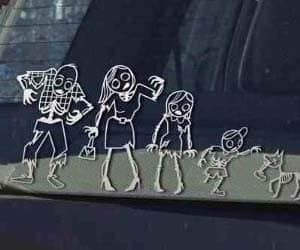 These zombie family car stickers are hilarious and will look great when you all venture out together. It's a 9 piece set so there's a zombie sticker for everyone- even the cat!